The rising prevalence of calcific uremic arteriolopathy (CUA) in patients with renal failure, this can be important factor influencing demand for the global calciphylaxis treatment market. This condition is also recognized in the patient diagnosed with the non-uremic patients. This can be another key reason for the market growth at global level. The global market for calciphylaxis treatment can be categorized on the basis of end user, treatment and diagnosis. On the basis of end user, the market is further segmented into academic institutes, medical research centers, hospitals, clinics and other end user segment. 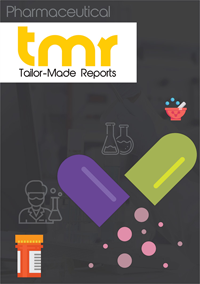 The report presented herewith is a phenomenal compilation of various studies about the global calciphylaxis treatment market, which includes regional analysis, segmental analysis and market competition. Calciphylaxis majorly affect dialysis patients, this can be another key factor positively boosting growth of this market in coming years. As per the Regents of the University of California, around 650,000 patients each and every year in the United States and the projected 2 million patients across the globe are majorly affected by end stage renal disease (ESRD).This can be key factor positively contributing to the development of the global market for calciphylaxis treatment. Also, as per the U.S. Renal Data System Annual Data Report, more than 660,000 Americans were underneath treatment for the renal disease in which 468,000 are dialysis patients in 2018. This likely to be other factor triggering growth of the calciphylaxis treatment market in near future. On the other hand, high cost associated with the treatment of the renal disease and lack of availability of the treatment facilities, this can be one of important factor negatively impacting growth of the calciphylaxis treatment market. Unknown effect associated with the treatment of the disease is expected to be important factor limiting growth of this market. However, increasing research process to develop suitable treatment for the calciphylaxis likely to upsurge growth of the calciphylaxis market. The market for calciphylaxis treatment market expected to register significant growth during the course of forecast period from 2018 to 2028. On the geographical point of view, the global calciphylaxis treatment market is divided into Asia Pacific, North America, the Middle East and Africa and Latin America. Among these region, North America expected to dominate the global market for calciphylaxis treatment owing to rising government financial support and funding of treatment of the patients diagnosed with calciphylaxis, this can be one of the important factor propelling growth of the calciphylaxis market in coming years. In addition, As per the National Kidney Disease Education Program research report 2015, in the U.S., the treatment of chronic kidney disease exceeds US$ 48 billion, yearly and the ESRD program takes 6.7% of the overall Medicare budget to care for less than 1% of the patients. Nonetheless, calciphylaxis treatment market in Asia Pacific likely to register significant growth owing to increasing expense for the treatment of kidney disease with the diabetes and increasing geriatric population can be another reason supporting growth of the global calciphylaxis market. This section of the report offers prominent players functioing in the global market for calciphylaxis treatment. The report also includes key players operating in this market such as Laboratoris Sanifit S.L., Smith & Nephew Plc., ConvaTec Inc and 3M, Amgen Inc., . The manufacturers are mainly focused toward the research and development activities in order to develop proper treatment for the calciphylaxis disease.